Whitechapel Gallery has played a memorable role in the London visual arts scene since its founding in 1901. It was one of the first publicly-funded galleries and host to Picasso‘s Guernica in 1938 (as part of an exhibit organized by artist Roland Penrose in protest to the Spanish Civil War) and Rothko‘s first show in England in 1961. Rothko was about to have his first English show, downstairs in the Whitechapel proper; it was organised by the revolutionary curator, Bryan Robertson. Rothko’s work would hit London like a shell. The late painter John Hoyland recalled the show. “We didn’t understand it … how to analyse it,” he said, in an interview days before his death in July. To the English, “abstraction” had meant the not-quite chalk downs of Paul Nash, the stylised boats of Ben Nicholson. Here, though, was something different. Rothko’s show was “engulfing, an awesome vision”: Hoyland “staggered around it”, drunk on the American’s sensuousness. All this is the subject, 50 years on, of a small but fascinating exhibition at the Whitechapel. 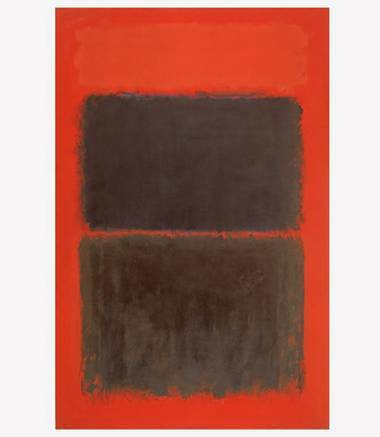 There is only one Rothko in the show – the Tate’s Light Red Over Black – and that was not in the 1961 exhibition. This in itself is poignant. It took the Tate until 1959 to acquire its first Rothko: the gallery’s director, Sir John Rothenstein, hated abstract art. The other great art knight, Sir Kenneth Clark, backed Rothenstein’s views. Under their reign, British art remained a backwater, abstraction confined to a small group of oddballs working in a far-off place called St Ives. And then there was Rothko at the Whitechapel. The photographer Sandra Lousada was just out of her teens in 1961. Her father, a patron of the Tate, told her to go and shoot the show. The results, hung next to Light Red Over Black, evoke a time in English art now scarcely imaginable. Like John Hoyland, visitors to the Whitechapel seem stunned by the images in front of them – uncanny, soft-edged beauties like nothing they have seen before. Other photographs show Rothko on his quasi-mythical visit to Cornwall in the summer of 1959: one has him sitting in a garden, drinking tea. All the other men – Peter Lanyon, Terry Frost – are wearing trawlerman’s jumpers; Rothko is in a suit and tie. He looks like a fish out of water, which is how some critics saw him. Happily, most local writers got Rothko as quickly as local painters did. Alan Bowness, future director of the Tate, found the American “immediately sympathetic to the English taste”, and the feeling was mutual. Also on show are letters from Rothko to various English correspondents. In one, he professes himself so moved by Shakespeare and Dickens that he felt “they must really have been Russian Jews who emigrated to New York”. Who’d have thought? Don’t miss this exhibition. While this small exhibit only includes one Rothko painting (borrowed from the Tate collection), the correspondence and photographs documenting that event held me in the gallery for a long time. Rothko’s hand typed, faded letters are firm, demanding, clear. The transaction that resulted in the Tate acquiring the Seagram paintings originally created for a restaurant space in New York was conducted just months before Rothko’s suicide. Reading the exchange was poignant and sobering. 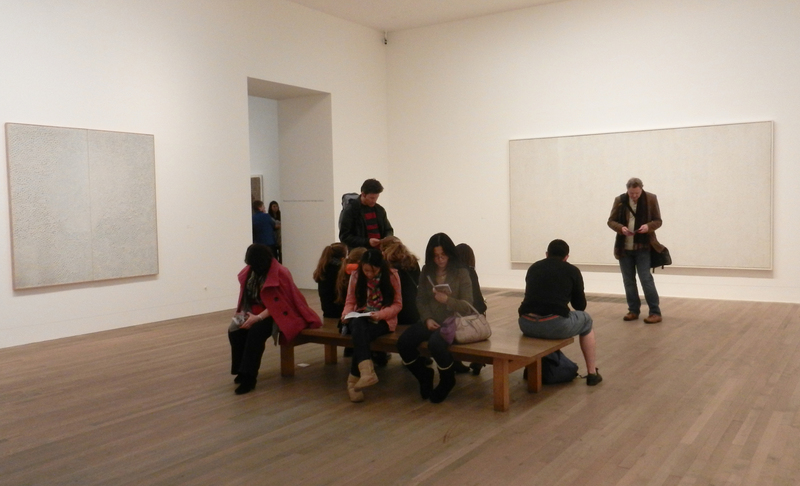 Here’s a flavor of Rothko’s level of involvement in how his work should be seen, hung and experienced. The following transcription utterly fascinated me. Walls should be made considerably off-white with umber and warmed by a little red. If the walls are too white, they are always fighting against the pictures which turn greenish because of the predominance of red in the pictures. The light, whether natural or artificial, should not be too strong; the pictures have their own inner light and if there is too much light, the color in the picture is washed out and a distortion of their look occurs. The ideal situation would be to hang them in a normally lit room—that is the way they were painted. They should not be over-lit or romanticized by spots; this results in a distortion of their meaning. They should either be lighted from a great distance or indirectly by casting lights at the ceiling or the floor. Above all, the entire picture should be evenly lighted and not strongly. The larger pictures should all be hung as close to the floor as possible, ideally not more than six inches above it. In the case of the small pictures, they should be somewhat raised but not “skied” (never hung towards the ceiling). Again this is the way the pictures were painted. If this is not observed, the proportions of the rectangles became distorted and the picture changes. The murals were painted at a height of 4’6” above the floor. If it is not possible to raise them to that extent, any raising above three feet would contribute to their advantage and original effect. Price had just one museum survey of his work during his lifetime—in 1992 at the Menil Collection in Houston. Not without irony, a retrospective is scheduled to open at LACMA in September. Luckily for those of us who do not live in Los Angeles, it is also traveling to the Nasher Sculpture Center in Dallas and to the Metropolitan Museum of Art in New York in 2013. 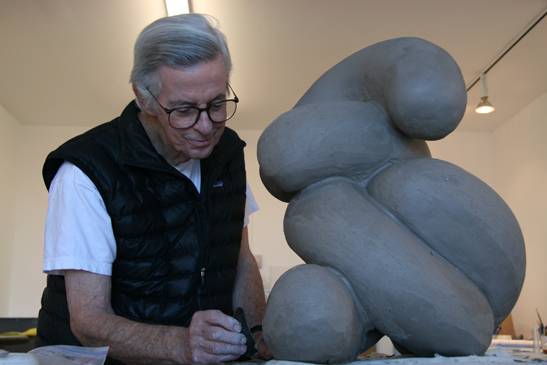 Mr. Price’s greatest achievement may have been to help foment a revolution in ceramics that was in many ways the true genesis of the Southern California art scene. Allied with the ceramic sculptors Peter Voulkos, who was briefly his teacher, and John Mason, he insisted on ceramics as high art — an argument that Mr. Price, a man of few but well-chosen words, left to his sculptures to articulate. Mr. Price enjoyed sustained critical success, but his penchant for working small and his allegiance to clay sometimes obscured his originality. It became almost reflexive for critics and curators to write that his art was paradoxically celebrated yet underappreciated. 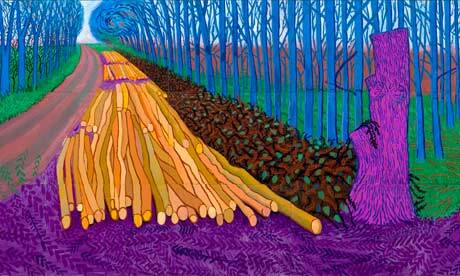 Seeing (and writing about) the David Hockney show, A Bigger Picture, at the Royal Academy was (and is) hard. In some ways I have a sentimental place for Hockney that dates back to my early days as an art student. His early work, particularly those that showcased his masterful draughtsmanship and his wit, left an impression on me at a time when I was learning my craft. And the work that emerged from his newly-adopted home base in Los Angeles became iconic, with swimming pools and palm trees that were a signatory measure of the English gent living in that strange landscape of American suburban sprawl. I eventually lost that personal connection with his work, but I did observe his development as he powered through phase after phase, from theater design and decorative inventions to a reconnection with the landscape of his homeland. In addition, his lassoing of new technologies into personal style tools (including Polaroids, the iPhone and now the iPad) is impressive for an artist who has been over 30 for a long time. There are lines in London for all the current exhibits but none were as long as the line to see the Hockney show. In an exhibit full to the brim in every room with attentive viewers, the general sense I had in listening and watching was that the work was delighting those who stood outside in the cold for over an hour. It is a prodigiously huge body of work and a testament to the ability for artists in their 70s and 80s (and sometimes 90s) to continue to produce new work. But unlike most of the other gallery visitors, my experience was not one of delight. While I am glad I saw the show and did have a few moments with his very unique mastery of pictorial space, I left the exhibit feeling unsettled and unsatisfied. The drawings, done in charcoal, are exquisite. Like most of the work in the show, these were done in the last few years and are as lush a celebration of nature and tree-ness as I seen. 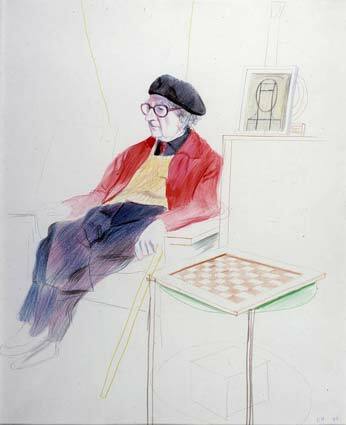 But the glorified sense of color that has always been Hockney’s signature flair was exhausting in room after room of paintings, so these black and white images were a place of rest and quiet for me. I looked for them in every gallery as a touchstone of groundedness before venturing into another deep dive of magentas, brilliant oranges, purples and lime greens. For a longtime colorist like me, this reaction was a surprise. But the use of color felt gratuitous, more like the way color is used for cheery illustrations in a children’s book. Maybe the best of us can’t really see when our explorations, each of which we value deeply, do not translate into a form that belongs in the harsh, staid and naked setting of an empty gallery. This whole exhibit seems to have done assembled by an artist who has the stature to demand and be given carte blanche to fill an enormous space with anything and everything. Was there a conversation with anyone at any point about the visual disruption of assembling a massive painting from smaller canvases that have each been framed in mahogany wood? This felt like a student grade exhibit decision to my eye. And then there is the issue of two most glaring editorial mistakes: The first is Hockney’s riff on the Claude Lorrain painting, The Sermon on the Mount, which hangs in the Frick collection in New York. These exercises should never have left the studio. The second is the iPad drawings, blown up in size, framed and then hung salon style in the Royal Academy’s largest hall. With their felt pen squiggles and eerily empty transitions, so reminiscent of Photoshop, they appear inert and dehumanised. The surface of these prints has an easy-clean sheen and at more than a metre high they look like what they are: quick studies of dandelions and leafy lanes voluminously enlarged. Perhaps the technology has bewitched him with its efficacy and speed; and who would begrudge Hockney this pleasure after a lifetime’s experiments with Polaroid, fax, photocollage, video and all. But perhaps this goes to the central disappointment of A Bigger Picture. One witnesses Hockney’s excitement, verve and energy, wall to wall, floor to ceiling and in room after room without ever feeling it oneself. The best line I heard while I was in London came from a taxi driver. When I asked her to take me to Whitechapel Gallery she perked up and said, “Oh, I love art! It is so subjective.” It was so immediate and so right on, I was still rather stunned when she dropped me off. I don’t begrudge anyone their joy at experiencing this exhibit. For me it was bigger picture, not a better one. “There are facts,” the painter Lucian Freud once said, “and there is the truth.” The current exhibition at the National Portrait Gallery in London follows less than a year after Freud’s death at 88. The show is a stark reminder that while Freud dealt with the facts of our all-too-human flesh, his primary concern is the truth that his artistic vision uncovers, probes and delineates. In many ways the show is overwhelming. The work displayed spans most of his career, and I was reminded how rare it is to see an artist who has spent a lifetime plumbing one particular métier. Seeing those early portraits in context helped me better understand the trajectory of his evolution as a portrait visionary. And while portraiture has never been a form I have been drawn to, this show left its mark on me. 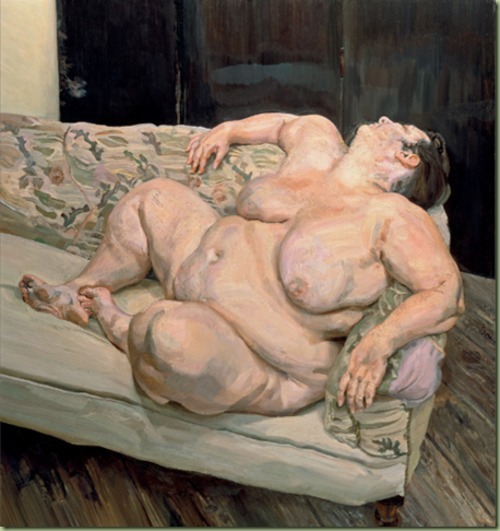 Flesh, whether rendered by Freud or by Jenny Saville, is deliciously seductive to the painter’s eye. And both have painted it in profusion. Stylistically, Freud might be said to have begun at one end of the spectrum of Western painting and moved towards the other – from Van Eyck towards the later, more painterly likes of Rembrandt and Velazquez. Gradually he became more interested in flesh and less in the gaze alone. There is an element of conscious contrivance about many of the later portraits, which focus so closely on the mute, mortal bodies of those who submitted to his many months of sitting…Men and women, huge and emaciated, are arranged in splayed or pole-axed poses, like ancient Christian martyrs. Yet the milieu is always the same mundane painter’s studio: a place which, with its small quota of never-changing props (the iron-framed bed, bulging sofa, pile of painter’s rags), brings to mind the pared-down set of Waiting for Godot. Life, these pictures imply, is a waiting-room for death. Sometimes the light plays tricks but the truth will always out. In the final room, one bearded model, vulnerable and naked as a Man of Sorrows, resembles a modern Christ. Of course he is no such thing, just a man posing on some bare West London floorboards. The border between enchantment and disenchantment is always breached. There are traces here of the magical, the mysterious, the uncanny, but there are no actual miracles – save, perhaps, the miracle of each individual’s inimitable, human presence. That last line is a good encapsulation of my response to the show. There ARE traces of the magical here, but there are no miracles. My time in the UK was split between the timelessly serene Lake District (and former haunt of Wordsworth and Coleridge) and the frenetic expanse that is London. It is the perpetual longing for the both/and that I have come to know as elemental, similar to the paradox captured so poetically in that famous line from D. W. Winnicott: It is a joy to be hidden but a disaster not to be found. Lots of plays, lots of art, lots of time with friends. I’ll offer up a few highlights over the next few days. When it comes to special exhibitions currently on view in London, this is a singular moment in time in that the three biggest shows with the longest lines are all by artists in their final years: Lucian Freud was 88 when he passed away last year, Yayoi Kusama is 82, and David Hockney is 74. All of them are almost dizzingly prolific and tirelessly exploratory. No laurel resting, no slowing down. Very inspiring. I’ll start at the top. 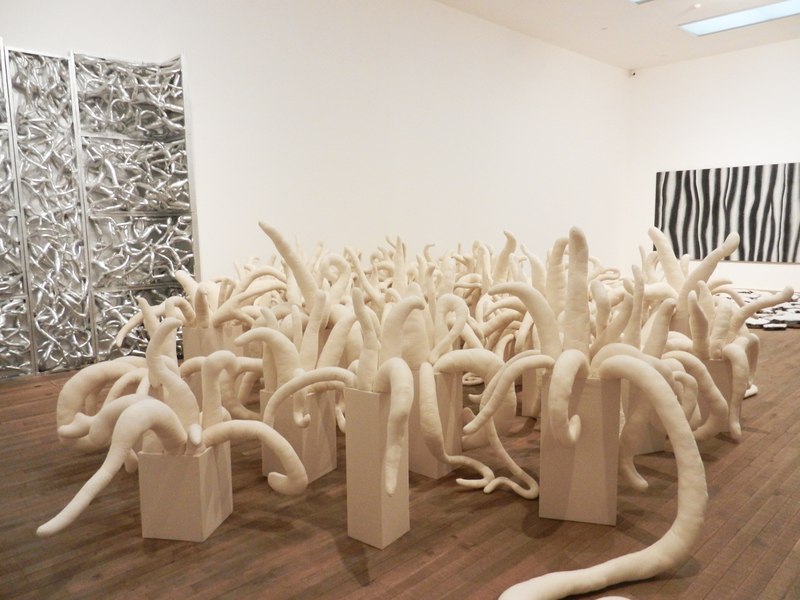 My favorite of the three was Kusama’s show at the Tate Modern. I’ll talk about the other two in future posts. All art is attention-seeking, but few artists have ever taken their demands to be noticed to the extremes of Yayoi Kusama. 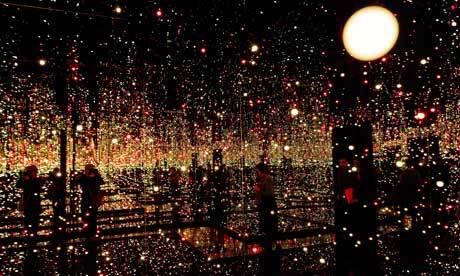 Now 82, and resident by choice for the past 35 years in a psychiatric care home in her native Tokyo, Kusama is currently seeing all her wishes come true. Not only has she been granted this obsessive-compulsive 14-room retrospective by the Tate, one of her career-defining Infinity Net paintings sold for $5.1m in 2008, a record for a living female artist. She seems to have been drawn to surrealism, but given it a less playful, more psychologically unbalanced field, an edge perhaps explained by the fact that at the same age as she was seeing her visions, she was forced by her mother to spy on her father in bed with his string of mistresses and geishas. She developed a loathing of phallic images, and an overwhelming fascination with voyeurism. Her response to these disturbing, formative forces seems twofold: she sought a kind of self-obliteration, covering herself and everything around her with her trademark polka dots – there is, among many other spotted surfaces, a fabulously spacey suburban living room here in which the edges of objects, sofas and tables are blurred by primary-coloured circular stickers, picked out in a psychedelic light. Elsewhere, mirrored “infinity rooms” take these points of colour into more dimensions than the eye can easily cope with. 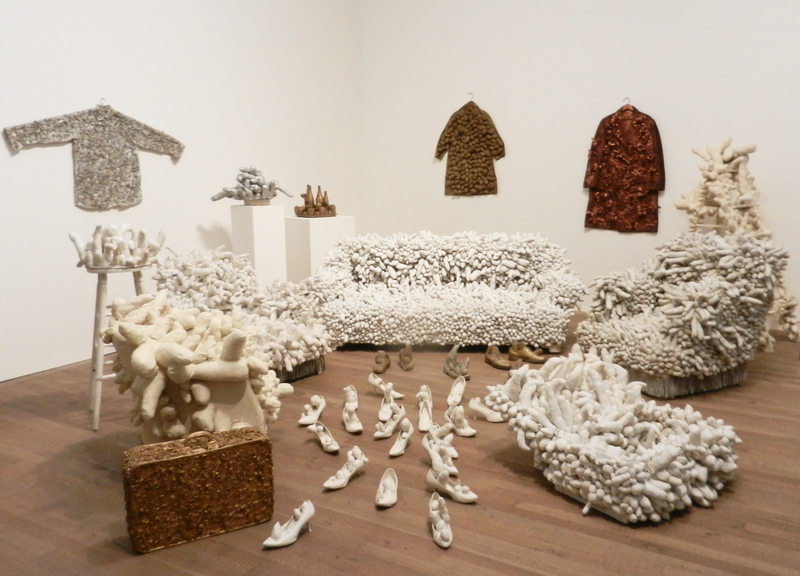 Almost nothing has been immune from Kusama’s dottiness: horses and cats, buses and houses, trees and fields and rivers, she has camouflaged them all. Damien Hirst’s outsourced efforts look decidedly spotty by comparison. The range in this body of work is extraordinary. One room is full of her early paintings—obsessionally patterned and subtle in the absence of saturated color—and are reminiscent of early aboriginal paintings that use dots to reference the mystical landscape of central Australia. 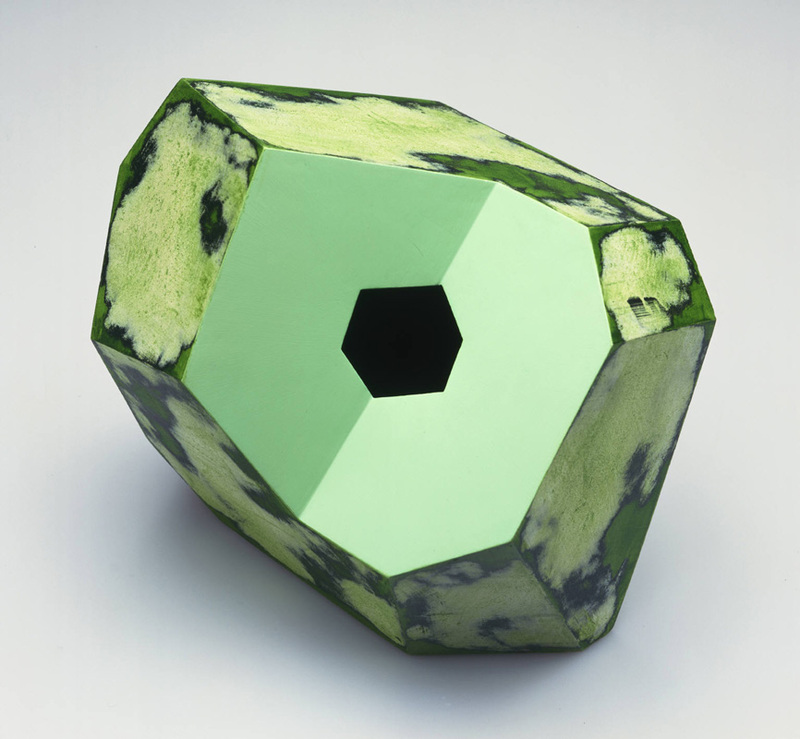 She moves from paintings of minimal tonality to obsessive phallic sculptures, also understated chromatically, to color used in an almost fetishist manner. Colored dotting soon becomes her signatory style but it does not come across as cheesy or inauthentic. 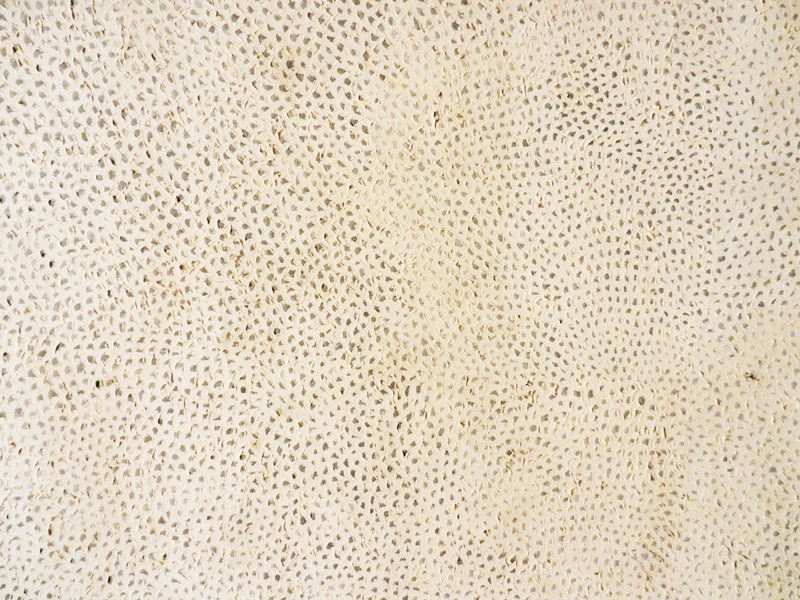 Kusama’s work feels like it came from “complete necessity” (to quote my favorite line from Roberta Smith*). I loved every moment of the show. Not without irony, Damien Hirst‘s Tate Modern show opens soon. A master of marketing and self promotion, his work almost never passes the coming from necessity test. Sure, that’s not the only measure for engaging and compelling art. But it has come to be an issue of increasing importance to me. * Roberta Smith’s plea for what she longs to see and feel in contemporary art exhibitions is outlined here. I will be showing my latest body of work at an upcoming exhibition at Rhode Island College next month. I am looking forward to seeing these pieces outside of my studio and all the visual clutter that comes with it. The shift in seeing can sometimes be surprisingly revelatory. I hope it helps me deepen my understanding of the new territory I am exploring. That’s the show part of the heading. The sojourn part starts tonight when I head to England. 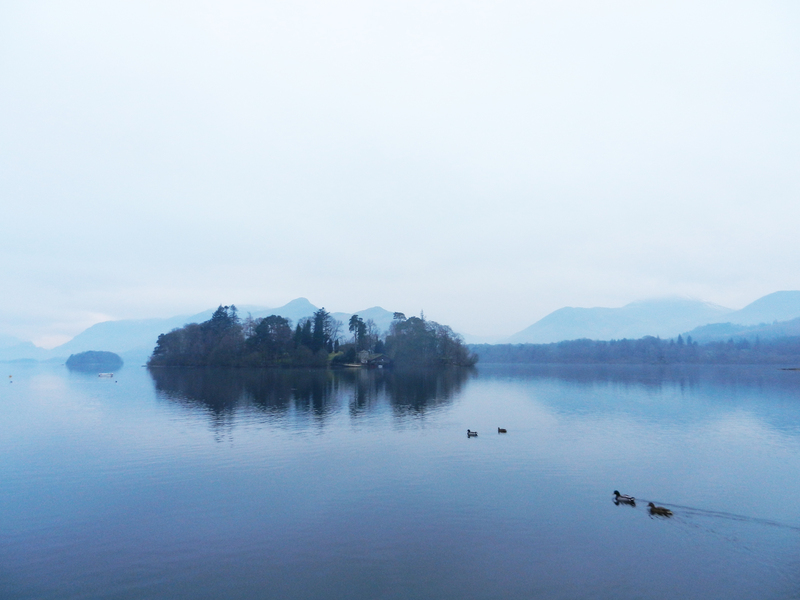 I’ll spend time in the Lakes as well as in London. England is no Death Valley. But the verdant green and the abundance of ancient sites (Britain has more than 1000 stone circles alone) seep in me and do some quiet rewiring of my insides. It is one of my ways of cleansing the palate of imagination. The desert can bring a powerful reset as well, but it works on me in a very different manner. I long for regular exposure to both. I will be back to Slow Muse on February 22. 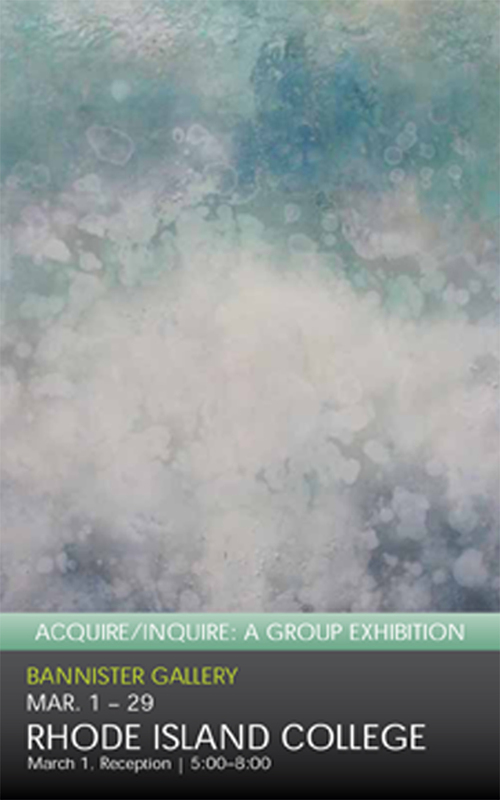 To inquire—to engage in the intentional act of discovery—is the vital cord that connects the work of Deborah Barlow, Marcia Goodwin, Doris Weiner, and Denyse Wilhelm. The objects, books, and memories they have acquired are the results of lives lived in purposeful inquiry, provoking and sustaining their work. Walk into any one of their studios and see possessions that are intensely personal: a Chinese wedding basket, peridot tinted vintage glass, Javanese puppets, or shards of pottery. In the work of these four artists, elements of nature, culture, mysticism, choreography, and music are transformed into visual ideographs that are dimensional, vibrant, ambient, and atmospheric. 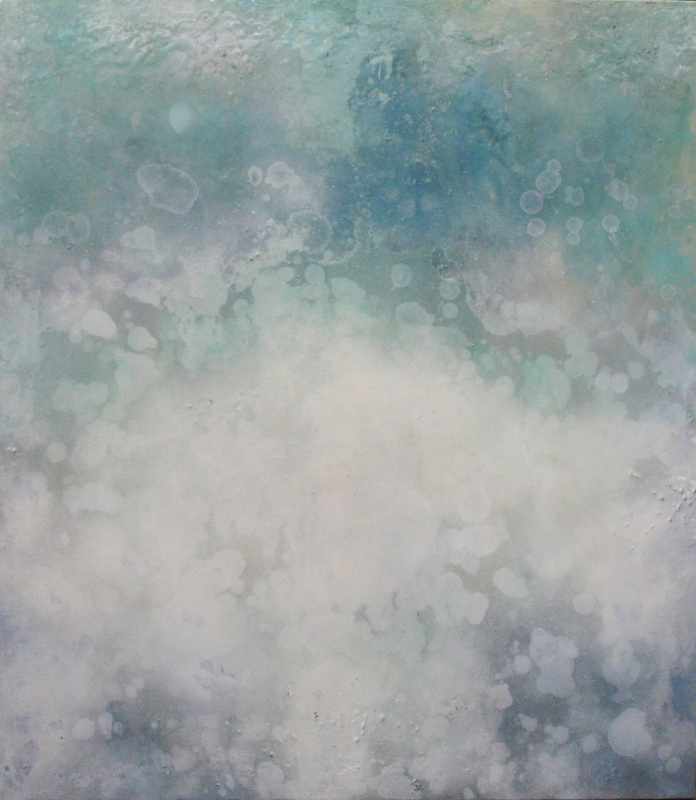 This exhibition is curated by James Montford, director of Bannister Gallery. Maureen Dowd, the waspishly wicked op ed writer at the New York Times, has periodic moments of reverie between her excoriating defamations of politicians. In a column that appeared in December, she touched on a theme that has been a steady leitmotif of this blog: silence. As fiendish little gadgets conspire to track our movements and record our activities wherever we go, producing a barrage of pictures of everything we’re doing and saying, our lives will unroll as one long instant replay. Thanks to my friend and artist Tim Rice (who I met through Slow Muse) for flagging this article. I follow with my eyes the proud and futile wake. 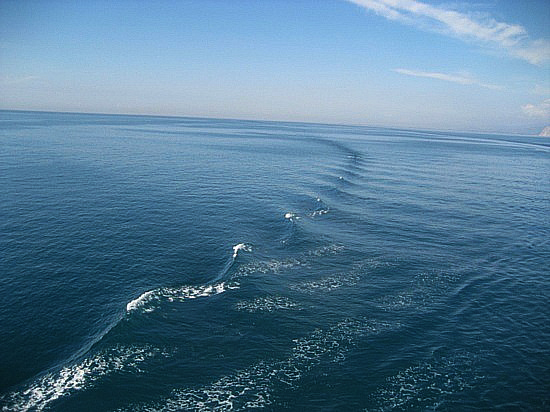 Which, as it bears me from no fatherland away, bears me onward to no shipwreck. What an evocative quote to start Alex Ross‘ most recent book, Listen to This. His columns in The New Yorker are so consistently good, and I found his first book, The Rest is Noise: Listening to the Twentieth Century, smart, sensitive and insightful. Writing about music isn’t especially difficult. Whoever coined the epigram “Writing about music is like dancing about architecture”—the statement has been attributed variously to Martin Mull, Steve Martin and Elvis Costello—was muddying the waters. Certainly, music criticism is a curious and dubious science…But it is no more dubious than any other form of criticism. Every art form fights the noose of verbal description. Writing about dance is like singing about architecture; writing about writing is like making buildings about ballet. There is a fog-enshrouded border past which language cannot go…In my writing on musc, I try to demystify the art to some extent, dispel the hocus-pocus, while still respecting the boundless human complexity that gives it life. 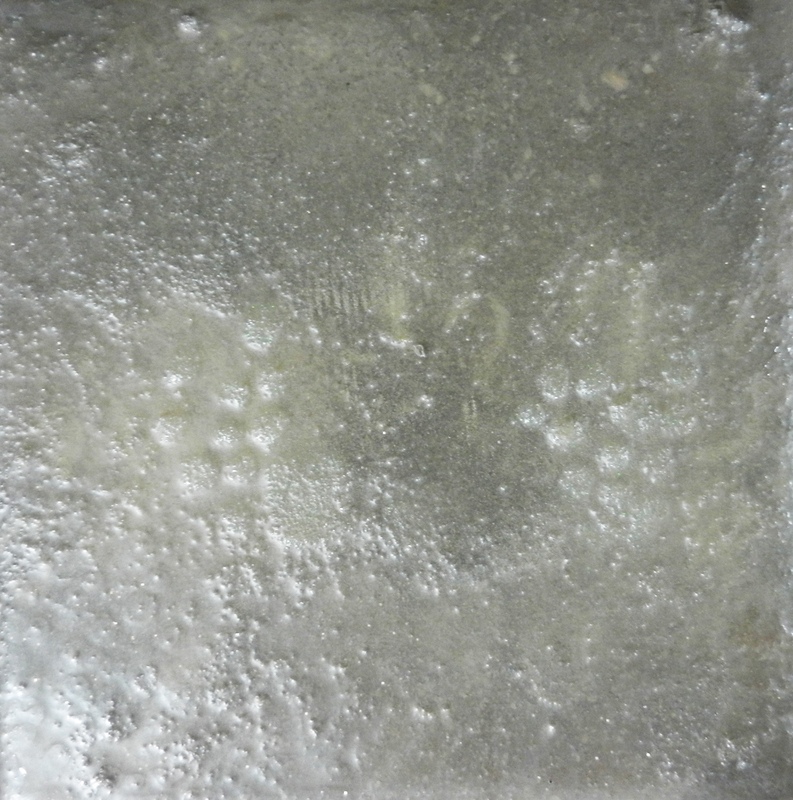 Interstices are everywhere, in and around every field of expression. They can be found by diving into the margins between big obvious things. And sometimes those in between zones open up a whole new world full of complexity, texture and wonder. It was there all the time, just waiting to be uncovered and explored. 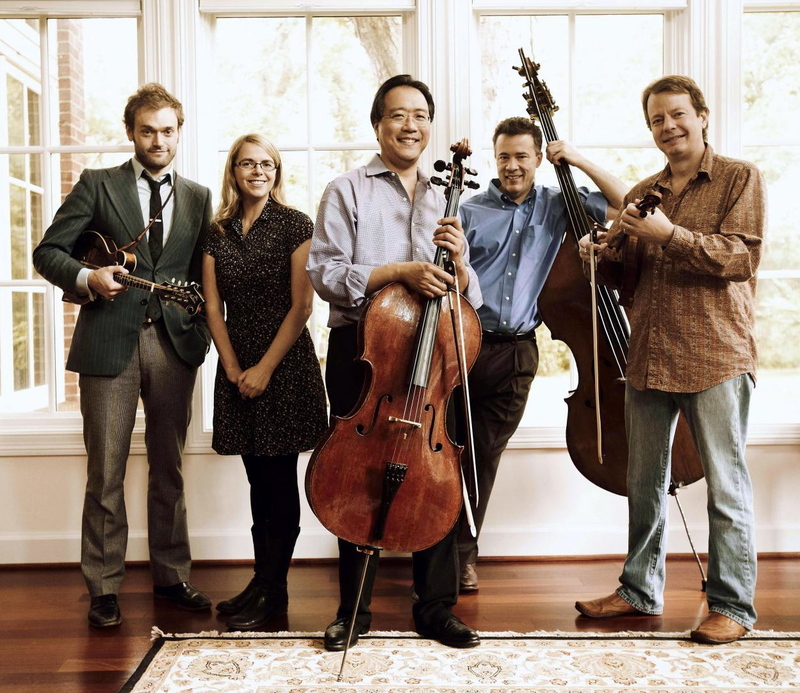 My latest interstitial delight is the unlikely confluence of legendary cellist Yo-Yo Ma with a few other legends from completely different musical time zones—bluegrass fiddler extraordinaire Stuart Duncan, composer/bassist/visionary Edgar Meyer and magical mandolinist Chris Thile. The music that emerges from this coming together carries the DNA of a complex and delicious variety of musical lineages. These exquisite soundings (refreshingly) do not fit into any existing classifications. Add a crazy name, The Goat Rodeo Sessions (a phrase describing an exceptionally chaotic situation), put on a live broadcast performance for a SRO crowd at the House of Blues and you have something new and fun. With drinks in the hands of the folding chaired audience and a phalanx of camera boom arms roaming the hall to capture the performance for theaters all over America, this was no staid Symphony Hall concert. Not for these Goaters, especially since it looked like they were having as much fun as all of us. Ma is a wonder. Unlike so many purist classical musicians whose hardening of the categories prevents them from exploring alternative musical forms, Ma just wants to make music with other gifted musicians. I remember seeing him several years ago sitting on a MIT classroom floor for a performance of proto-Romany trance music. Sometime after that he and Edgar Meyer collaborated on a new musical hybrid vein with their highly successful Appalachian Waltz and Appalachian Journey recordings. Ma’s Silk Road project went in another direction altogether and brought forth new musical forms that his fans would never have found on their own. Watching the utter pleasure in Ma’s face reminded me how vital joy is in making, whether one’s métier is art, music, literature, theater. Visual artists don’t usually get the chance to share those rare but deeply blissful highs with others. For us those moments happen in the studio when we are alone, those exquisite breakthroughs that appear in an instant, out of the blue. But I want to remember Ma’s face, to remind myself to celebrate the pleasure and joy of making and doing.